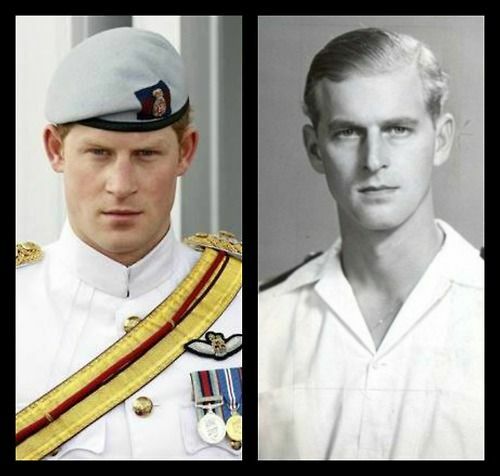 ^ I have never understood why anyone could ever believe Harry is Hewitt's son. Both PH and PW look like Charles and like PP as the pic you provided illustrates. And I won't go there with the Molyneux chap. Just because. Back on topic, I never knew that about Andrew and Edward. The thing about Andrew and Edward is that they both look like their mother and her side of the family. I don't think HM would cheat, she seemed to be very devoted to Philip even though they had their problems. Yes, it would be quite interesting for her to get herself knocked up by another man with her husband in the next room. She was so busy that every minute of the day counted, sometimes couldn't even fit in a trip to use the restroom. When are her months off? August/September? December/January? Andrew was born in February 1960 and Edward in March 1964. I could be wrong, but I think it's very unlikely that Philip isn't their father.